Quality plays an important part in ensuring that reliability requirements are realized. If we do not have conformance to requirements, there could be consequences that create customer dissatisfaction. Companies have the responsibility to ensure that the product delivered to the customer meets quality and reliability requirements. We provide statistical recommendations that support project design including all elements of the test process, such as analysis of key factors that affect cost, schedule and quality and the statistical analysis of variables to insure useful results. Validation is a technique for establishing documented evidence which provides a high degree of assurance that a specific process will consistently produce a product meeting its predetermined specifications and quality attributes. Through validation we characterize your manufacturing process with the intent to identify and establish critical parameters for control and monitoring and ultimately optimize these parameters. Typically for assignments involving validation we target efforts to companies where superior process capability is required. We validate process and equipment to determine and establish confidence that the process is effective and reproducible and assure that the process equipment as well as ancillary systems is capable of consistently operating within established limits and tolerance. Validation conducted prior to the distribution of either a new product, or product made under a revised manufacturing process, where the revisions may affect the product’s characteristics. A subset of prospective validation conducted with the intention of ultimately distributing product manufactured during the validation study. Validation of a process for a product already in distribution based upon accumulated production, testing and control data. Process Performance Qualification – The process is effective and reproducible. The finished product produced by a specified process meets all release requirements for functionality and safety. Final validation report providing indication of compliance to respective FDA standard or ISO 9001 requirements and documentation of the system validated. Installation qualification studies establish confidence that the process equipment and ancillary systems are capable of consistently operating within established limits and tolerances. The process can be complex, time-consuming, and costly. To allow you to supplement in-house abilities based on your needs and budget, our IQ services are available. LebenTech Installation Qualification (IQ) Service helps ensure that at the time of the performance verification tests, the medical device is installed according to documented specifications. Once completely installed, the system will be turned on to confirm all modules and systems work correctly. Finally, all information determined is then documented within the protocol. At this stage of the design our consultant has the experience to help in the examination of the equipment design, determination of calibration, maintenance and adjustment requirements; and identifying critical equipment features that could affect the process and the product. We collaborate with your team to develop the IQ protocol. 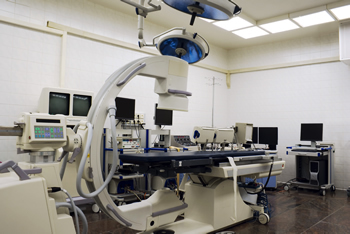 In our practice we have developed and execute installation qualification protocol for reliability life testing equipment for Ventricular Assist Device, end of line testing equipment and other medical device. We also collect data and perform engineering analysis of data. The IQ service is performed by our lead consultant and includes detailed evidence that the system meets, at the time of the verification, specified performance criteria using proven methods for verification, traceable and revision controlled procedures. Process validation is a requirement of current Good Manufacturing Practices (GMPs) for finished pharmaceuticals (21 CFR 211) and of the GMP regulations for medical devices (21 CFR 820) and therefore applies to the manufacture of both drug products and medical devices. Process validation involves a series of activities taking place over the life cycle of the product and process. LebenTech helps clients ensure that their manufacturing process is in compliance with the highest regulated standards that minimize business risks. We facilitate compliance and validation with Good Automated Manufacturing Practice (GAMP), 21 CFR Part 11. Our staff has years of experience to develop an efficient and effective methodology to ensure your process efficiencies, control and quality are in compliance with global regulations and guidelines. We evaluate the process and confirm it is capable of achieving its outcome, determine adequacy and effectiveness of control and confirm conformance with process user requirements, processing specification and product specifications when processing is perform in the user environment. Assures compliance with GAMP, cGMPs and the latest developments in 21 CFR 11, including the recent FDA move to a risk-based approach. Each service is customized to the clients need to comply with US and ISO regulations. LebenTech will provide the requirements and guidance concerning the completion of process validation for new processes, equivalent processes, process improvements and process changes to be introduced into the manufacturing area. Each process validation will vary in its scope based on the reason for the validation, criticality of the process and the complexity of the process and associated equipment. An operational qualification process designed to verify the proper operation of the system and its ability to produce valid results. A validation plan can include system operation validation, functionality check of the software, and validation of data captured by the system. Perform basic functions of the application software. The consultant will ensure the system is functioning to acceptable limits by testing relevant equipment specifications, parameters and ranges as determined by LebenTech performance verification. At the completion of the OQ all of the operation tests are documented, the results are noted, and all relevant documents are completed and signed. Not only are we prepared to assist with IQ, OQ and PQ. LebenTech experts are ready to assist you to maximize your productivity and optimize your equipment performance.